Western intelligence indicates that the government of Syria is in the process of constructing a new secret nuclear plant aimed at producing nuclear weapons. In the early hours of September 7, 2007, an air attack believed to have been carried out by Israel destroyed a mysterious facility deep in the Syro-Arabian Desert. The site, named al-Kibar, located 20 miles from Deir el-Zor in eastern Syria, is widely thought to have been a nuclear reactor under construction by Damascus. The Syrian government has never commented or protested about the incident. But in late 2008, the Israeli government told the International Atomic Energy Agency (IAEA) that Syria was once again “actively involved in plutonium production” and that Damascus had renewed its nuclear collaboration with North Korea, which was actively supplying Syria “with nuclear materials and research”. Now a report in leading German newsmagazine Der Spiegel claims that the government of Syrian President Bashar al-Assad had transported 8,000 fuel rods that had been destined for al-Kibar to a new location in the southwest of the country. 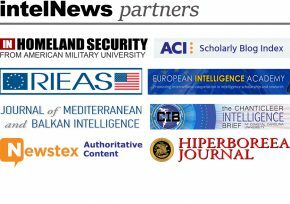 The report, published on Saturday, cited information from “Western intelligence sources”, which it did not identify. The newsmagazine said it had seen intelligence reports containing satellite photographs and transcriptions of intercepted radio traffic, which left little doubt that the Syrian government was in the process of constructing a new nuclear reactor. The German-language publication said the plant is being constructed deep underground in a remote mountainous region near the small town of Al-Qusayr, located less than two miles from the northern Lebanese border. 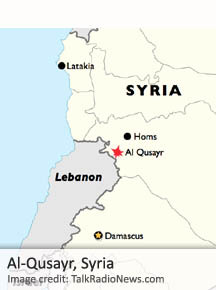 According to the report, construction on the al-Qusayr plant, which the Syrians appear to have codenamed “Zamzam”, began in 2009 under the watchful eye of Lebanese paramilitary group Hezbollah, which currently guards the plant with “elite units”. The site appears ideal, said Der Spiegel, as it is adjacent to significant supplies of water, and is connected to the energy grid through special access nodes. The newsmagazine said radio traffic intercepts include conversations between senior Syrian military officials and Ibrahim Othman, head of the Syrian Atomic Energy Commission. The discussions seem to indicate that the construction project is being assisted by members of the Iranian Revolutionary Guard Corps. The article points out that Western monitors are certain the technical aspects of the project are being led by North Korean experts, and that some of them are currently in Damascus. According to the IAEA, the Syrian government is in possession of approximately 50 tons of natural uranium, which, if enriched, could provide material for up to three nuclear bombs.